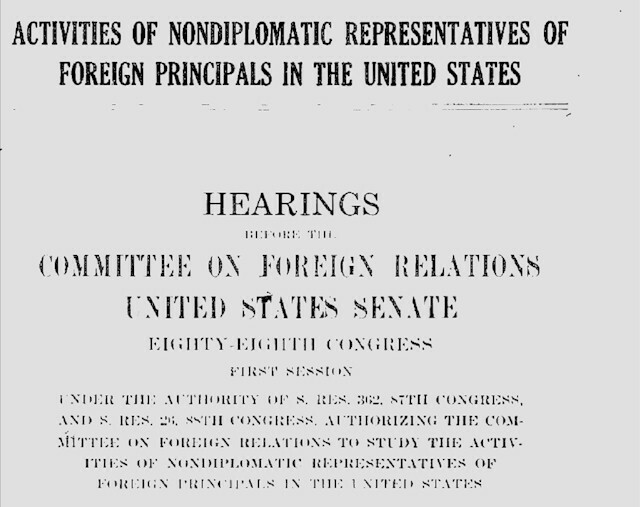 In 1962-1963 the Senate Foreign Relations Committee investigated the Jewish Agency and the American Zionist Council. Their funding flows from Israel as well as lobbying and public relations campaigns in the United States were explored during sworn testimony on May 23 and August 1, 1963. The Senate record including transcripts and subpoenaed documents are included in the following PDF files scanned from bound records held at the National Archives and Records Administration. 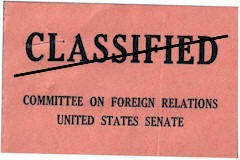 Update: Many documents subpoenaed during the Senate investigation were not included in the final record (above). Also, organizations such as the Jewish Agency and American Zionist Council lobbied for redactions of some of their statements made under sworn testimony. The Senate investigation team files, newly released by the National Archives and Records Administration on July 23, 2010, reveal a comprehensive Jewish Agency public relations campaign in the US. Visit the new AZC archive for these declassified records.